In some cases, our Support team needs specific files from your environment to diagnose and resolve your issue with Retrospect. For files smaller than 5MB, you can upload them directly to your support ticket. 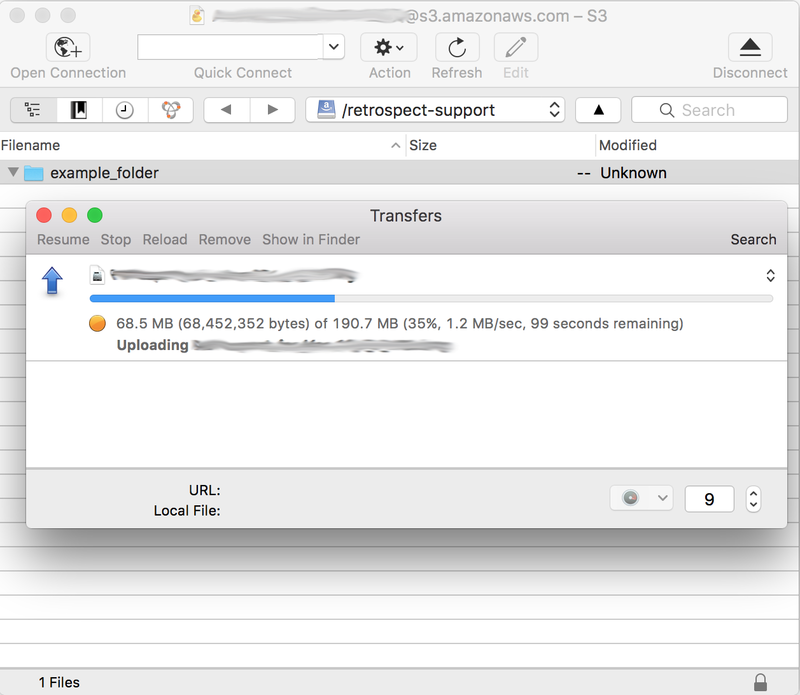 For larger files, you can upload them to a space on Amazon S3. Here are the steps. 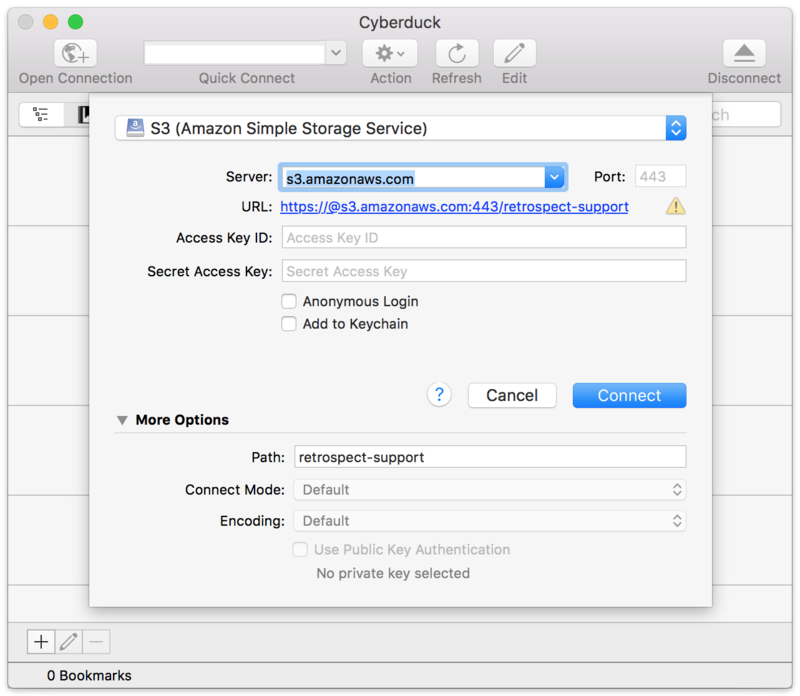 Cyberduck is a free tool for Windows, Mac, and Linux for interacting with Amazon S3. Download and install it. Click "Bookmark" from the menu. Fill in the information below (except for the secret key, which isn’t listed). 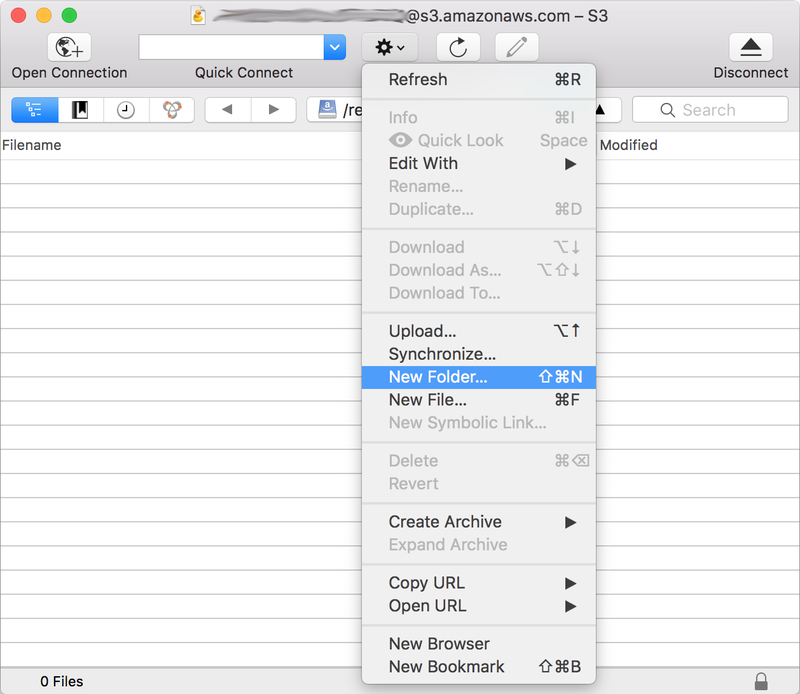 Double click on the bookmark to open a connection to S3. A dialog will appear where you can enter the secet key. After you connect, create a folder for your files. Compress the files and then drag the files into the new folder. Let our Support team where the files are located when your upload is complete. Cyberduck will display the progress of your upload.